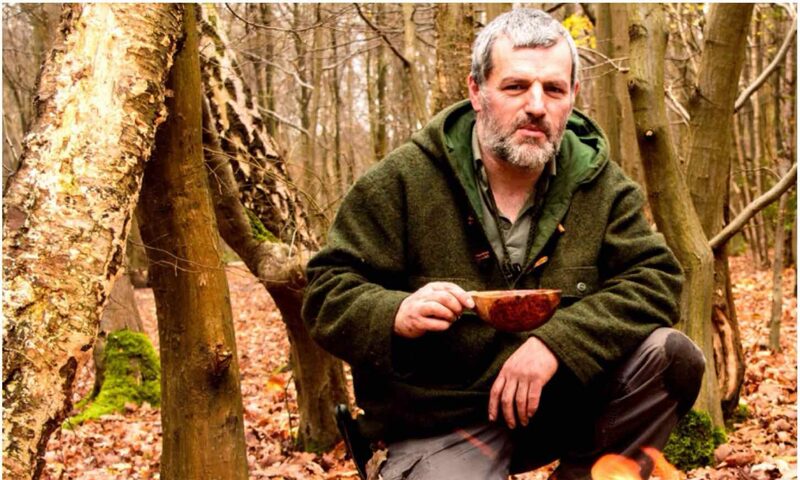 Work has taken me to Cardiff tonight so for the 30 Day Challenge I am once again on my own. 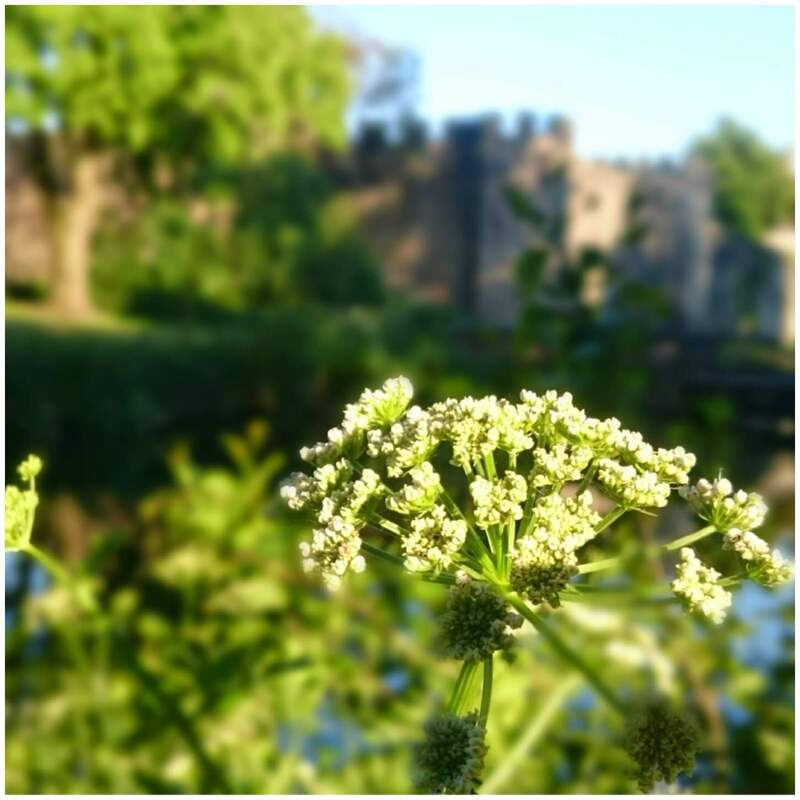 The hotel I am in overlooks Cardiff Castle so for tonights wander I decided to have a look at Bute Park which is located next to Cardiff Castle. 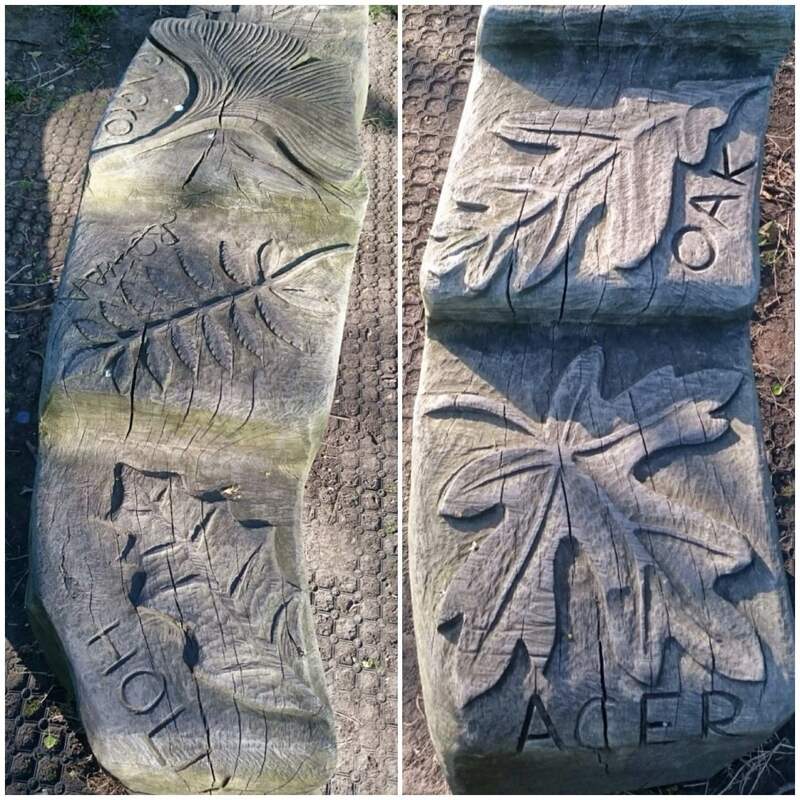 The first thing I found when I entered the park was this lovely carved bench identifying different trees by their leaves – better than any ID book. The park is a beautiful place to have a bimble in the evening. 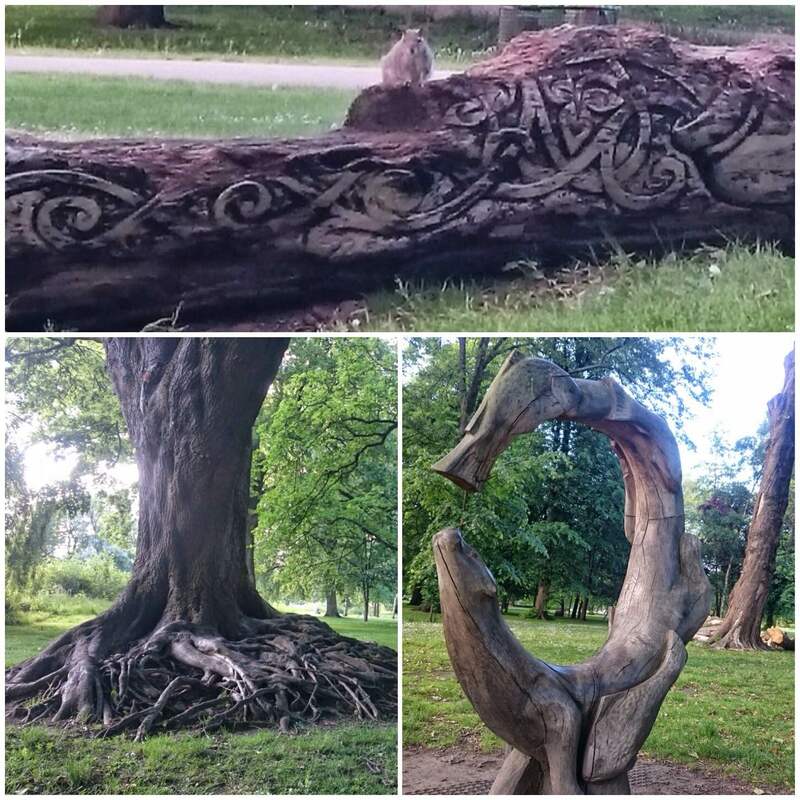 Before I knew it carvings (natural and man made) were popping up everywhere with the odd little squirrel staring me out. 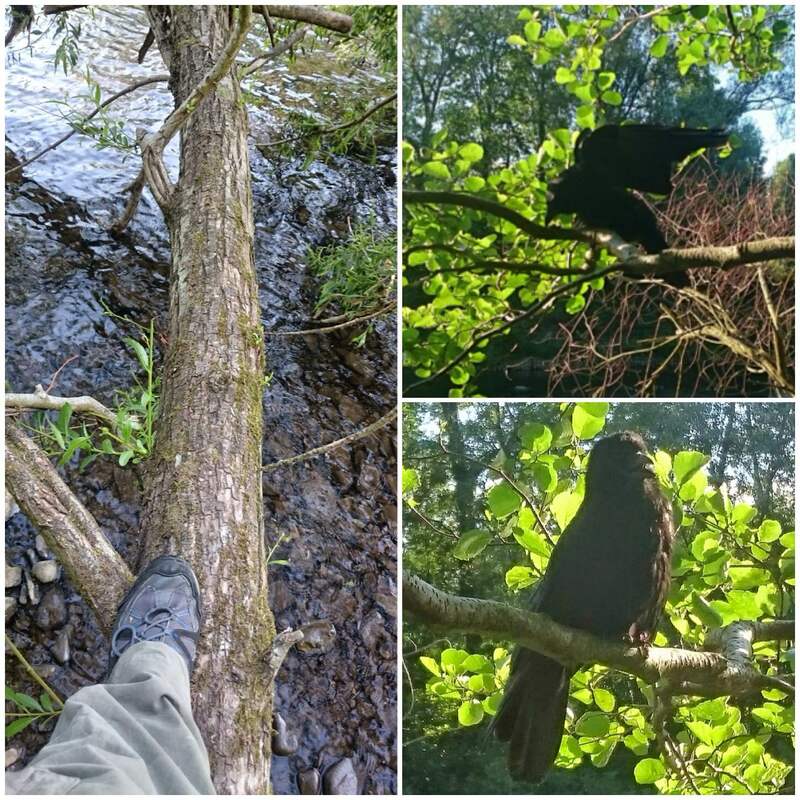 I took all the pictures with my phone camera (Sony Z3) and was quite chuffed to get close enough to the little fella in the bottom left picture to get a decent shot of him. 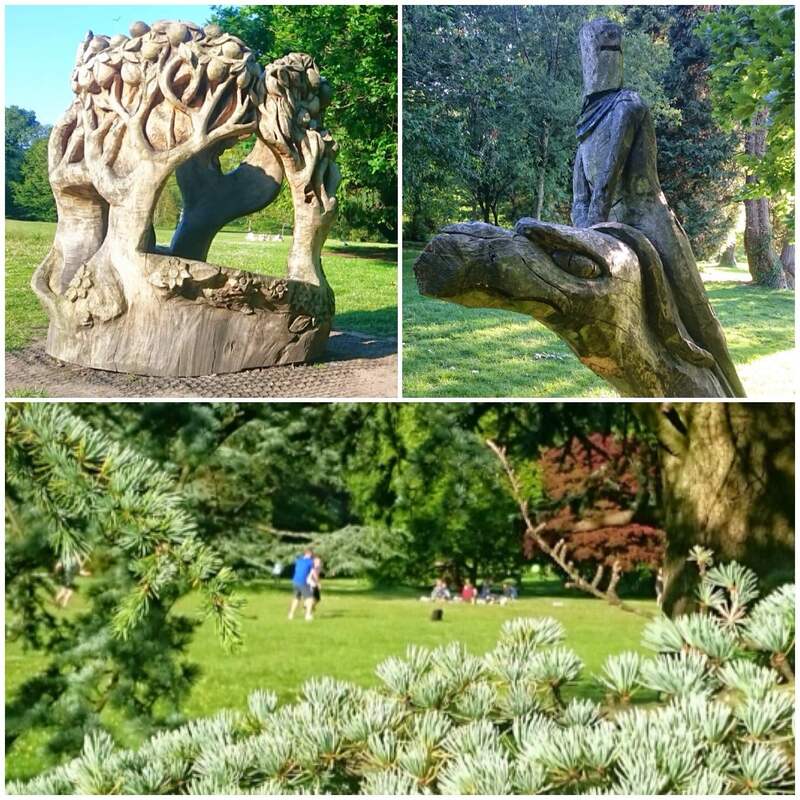 The park not only has beautiful sculptures it also has some stunning trees like the Cedar in the bottom picture. 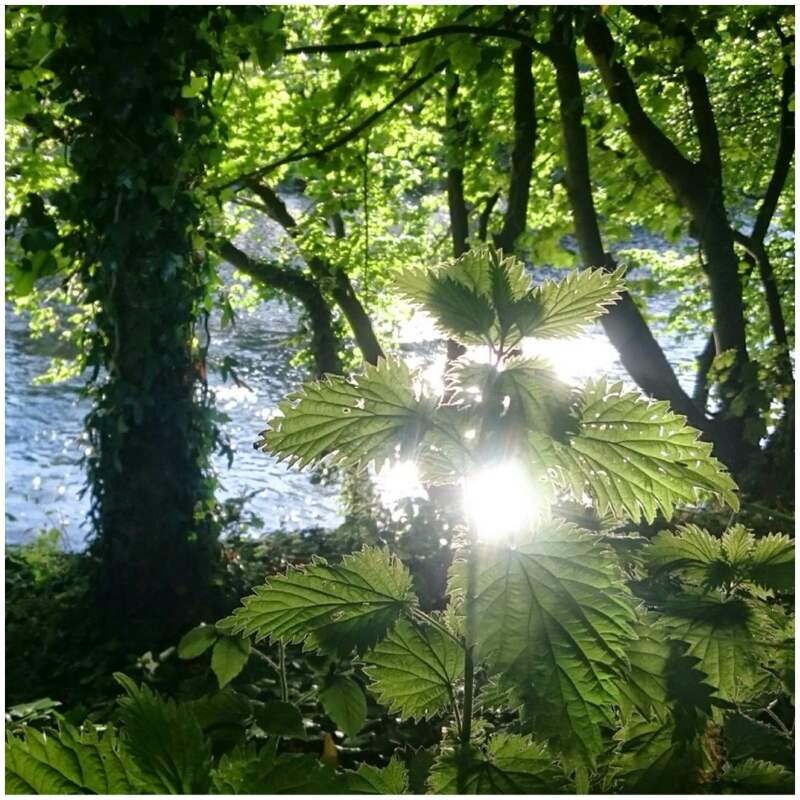 Eventually I found the River Taff and this mature nettle perfectly silhouetted by the sun’s reflection. Further along the river bank I came across a downed Willow tree. The tree was over the river so as I scrambled over it I came across this little fella sitting on another tree by the bank. He was so chilled he let me get close enough that I could easily touch him. 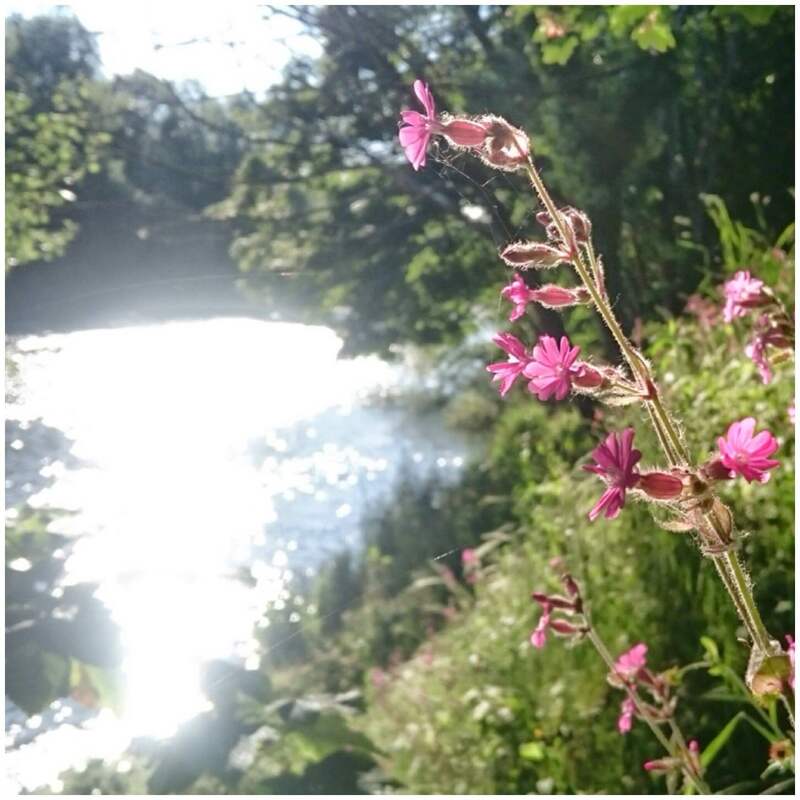 The dominant flower along the length of the River Taff I walked was the beautiful Red Campion. 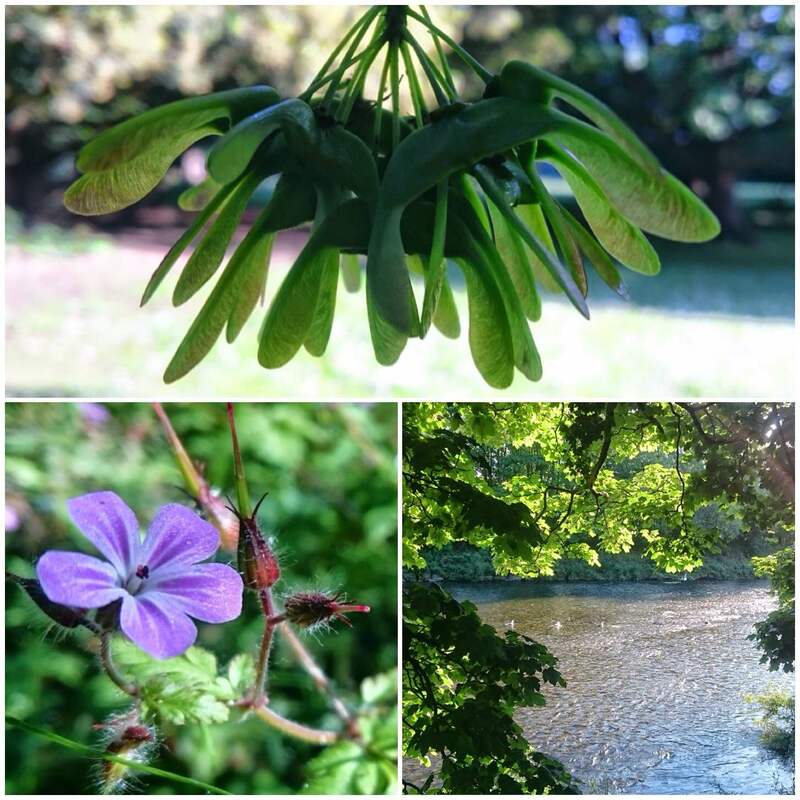 It was nice to walk through the park looking at and photographing both the fine detail and some of the bigger scenes. The walk finished up at the back of Cardiff Castle. 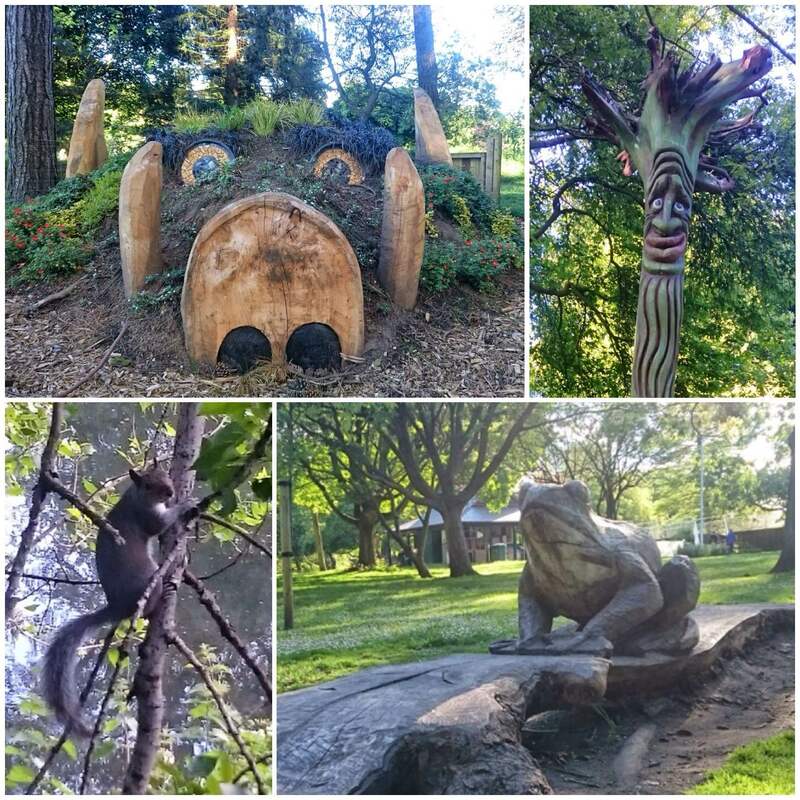 I have never been to Bute Park before and I have to say it is probably the best city park I have ever come across.